The ReSpeaker USB 4 Mic Array is the successor of the ReSpeaker USB 6+1 Mic Array. It has better built-in audio processing algorithms than the 6+1 Mic Array, so it has better audio recording quality, although it only has 4 microphones. On Linux and macOS, the USB 4 Mic Array will just work. On Windows, audio recording and playback will also work without installing a driver. But in order to control LEDs and to tune DSP parameters on Windows, the libusb-win32 driver is required. 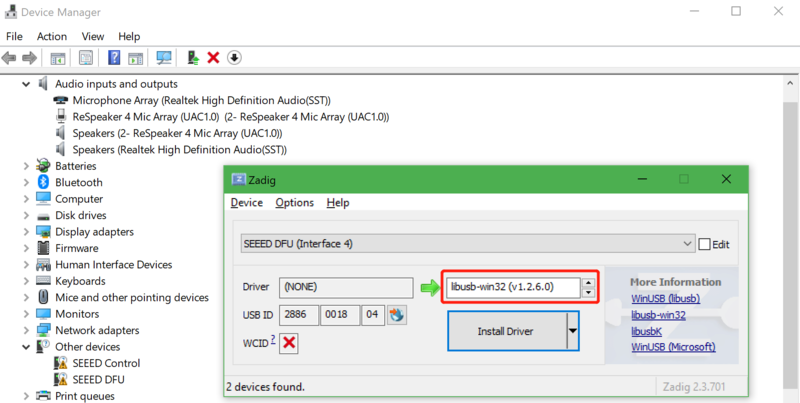 We use a handy tool - Zadig to install the libusb-win32 driver for both SEEED DFU and SEEED Control (the USB 4 Mic Array has 4 devices on Windows Device Manager). 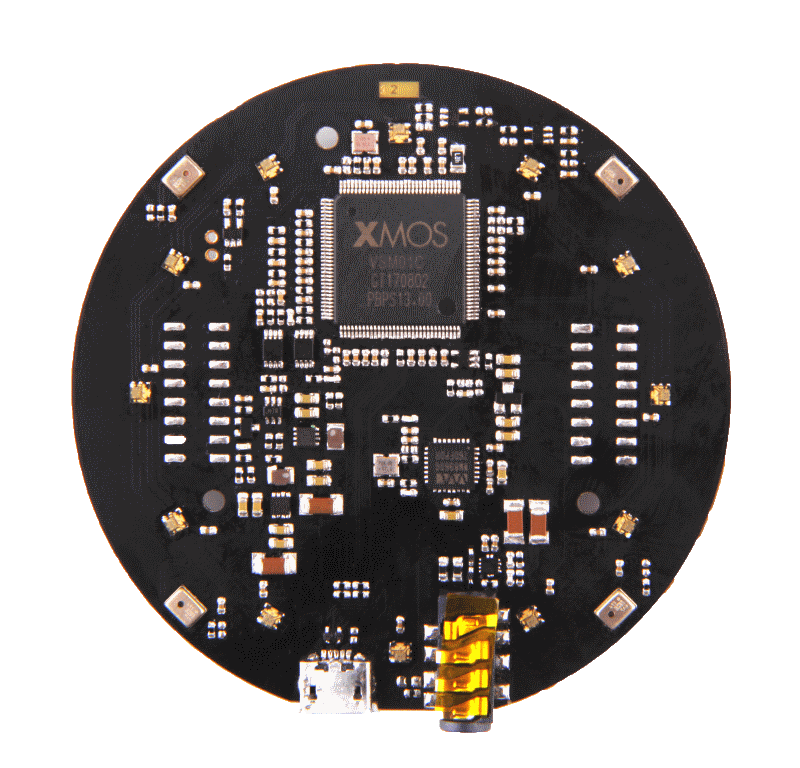 The Microphone Array supports USB DFU. We have a python script dfu.py to do that. The USB DFU on Windows is buggy, some Windows work (tested on Surface Book), but some Windows don't. Using Linux to change its firmware is recommended. The USB 4 Mic Array has on-board 12 RGB LEDs and has a variety of light effects. Go to the respeaker/pixel_ring to learn how to use it. The LED control protocol is at respeaker/pixel_ring wiki. ODAS is a very cool project to perform sound source localization, tracking, separation and post-filtering. Let's have a try! get ODAS Studio from https://github.com/introlab/odas_web/releases and open it. 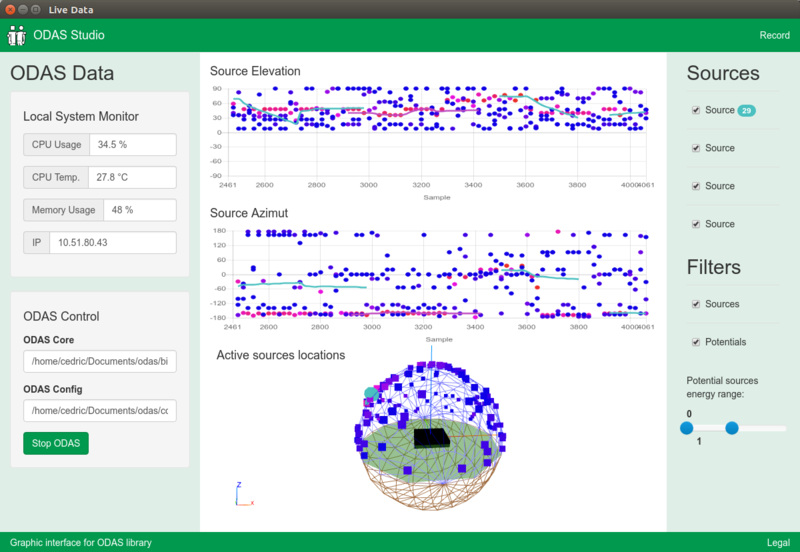 The odascore will be at odas/bin/odascore, the config file is at odas.cfg. Change odas.cfg based on your sound card number. upgrade your usb 4 mic array with i6_firmware.bin which provides 4 channels raw audio data.